Can’t quite decide which titbit to treat your loved one to? Fret not, for you can opt for a Junk Voucher, and cover all bases. 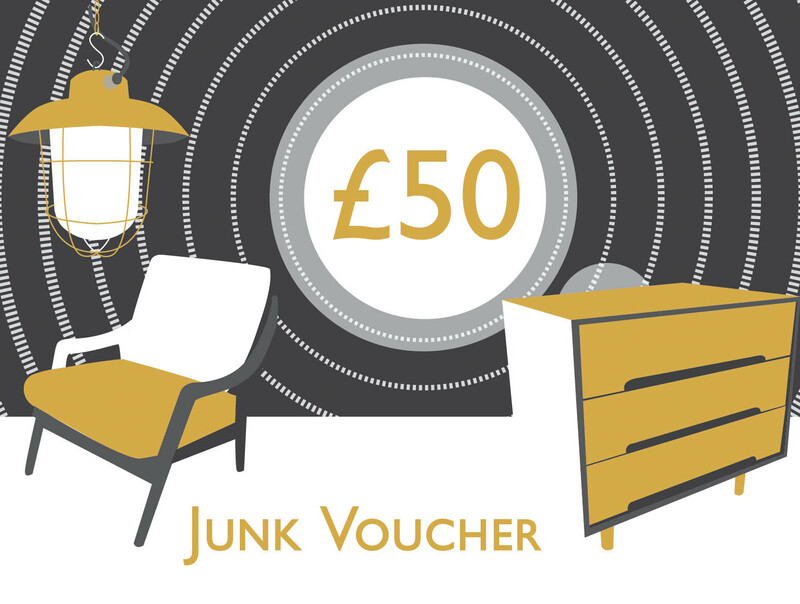 Junk Vouchers are available for any value, with no expiry date, and will allow the recipient to take their pick of our vintage delights. Junk Vouchers are also redeemable at RG Scott Furniture Mart.